When receiving a recall notice, how many of us are guilty of treating it like junk mail? Resist the temptation to toss it in the trash. Rather, view it as an investment in your vehicle, just like regular maintenance. Recall notices are distributed to vehicle owners by the manufacturers. Repairs shouldn’t cost you anything. Fortunately, Honda has a good safety record and recall notices aren’t issued that often. If you do receive a recall notice, read it to find out the nature of the repair needed. Usually, there is a design defect or safety issue that is serious enough to warrant repair. Call our Service department at (416) 754-4096 to schedule the repair or modification. We’ll need to be sure we have the parts on hand before we can repair your vehicle. Our service technician call tell you how long it will take to make the repair. Don’t despair if you have thrown away previous recall notices. You still have the opportunity to remedy any defects or safety issues. Not sure if there are any outstanding recalls on your vehicle? You have several options for checking. Transport Canada keeps a database of recall notices. Go to www.tc.gc.ca/en/services/transport/road/defects-recalls-vehicles-tires-child-car-seats.html. Enter your make, model and year. In addition, you can go to the Honda website at www.honda.ca/recalls and enter your Vehicle Identification Number (VIN) to check for recalls. Our Service department will also be glad to look it up for you. Something most people overlook is notifying the dealership when they move. Providing us with your change of address will ensure that it’s updated in the Honda database. This way you’ll continue to receive any future recall notices. Additionally, if you have a pre-owned Honda vehicle, you’ll want to make sure your information is added to the database. The next time you spot a recall notice in the mail, call #FormulaHondaToronto. 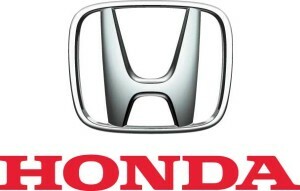 It makes sense and cents to keep your Honda vehicle current on recalls, both for safety and resale purposes. Our Service department is here for you, and we’ll do our best to expedite repair of your vehicle. Be sure to check out our website at www.formulahonda.com for all the latest news about the 2017 Honda models arriving daily and any special clearance deals on 2016 Honda vehicles. Better yet, stop by and we’ll make you feel like family!